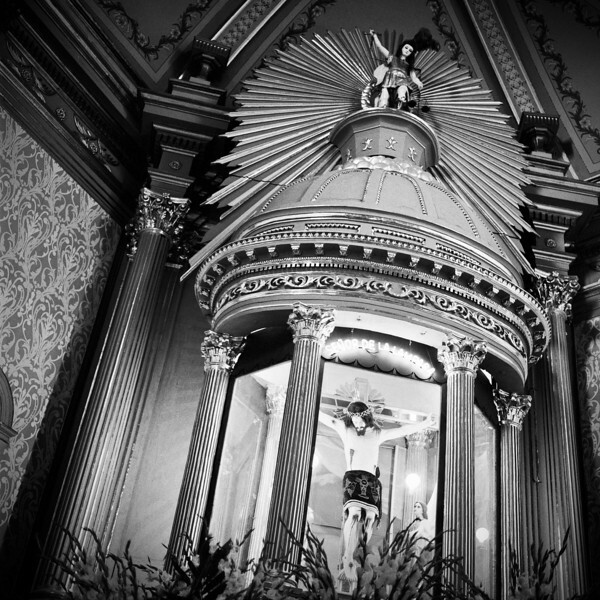 Series of photos from my visit to Morelia, Michoacan Mexico. From 2001. All shot with film. Used mostly Hasselblad 500cm, Mamiya C330 and Pentax 35mm cameras. 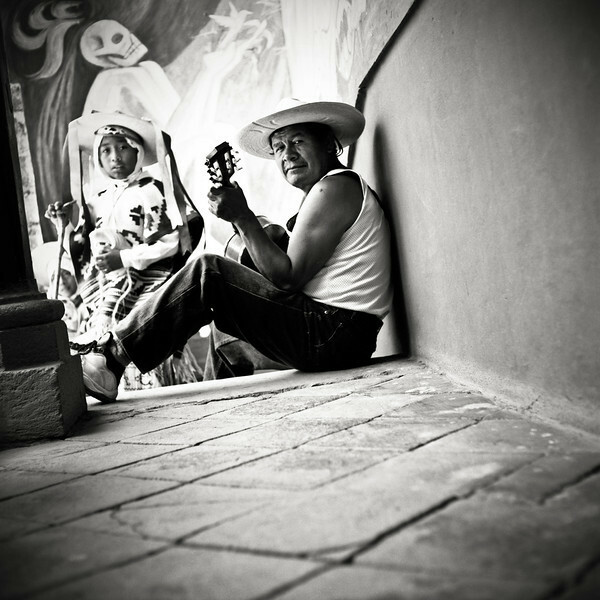 A musician playing his guitar in Mexico. 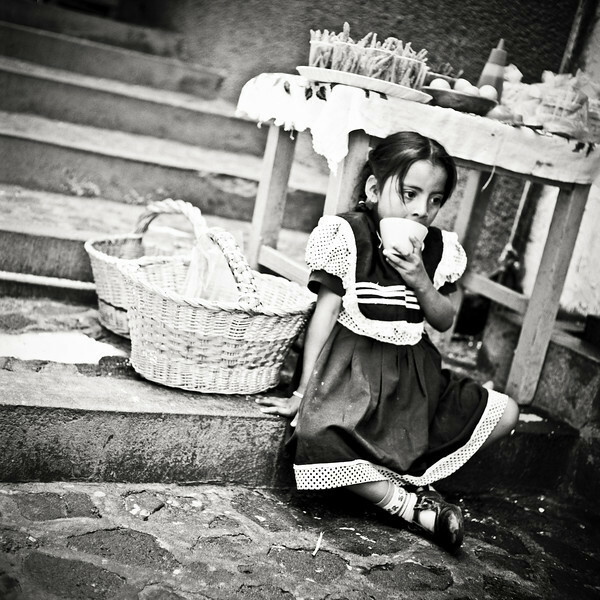 A young vendor girl is daydraming in rural Mexico. A life-like statue of Jesus Christ on display in rural Mexican town. 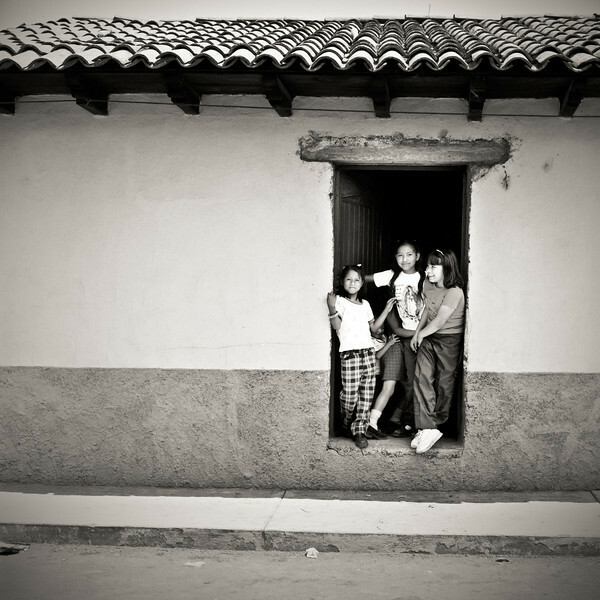 Young girls hanging out by a doorway. 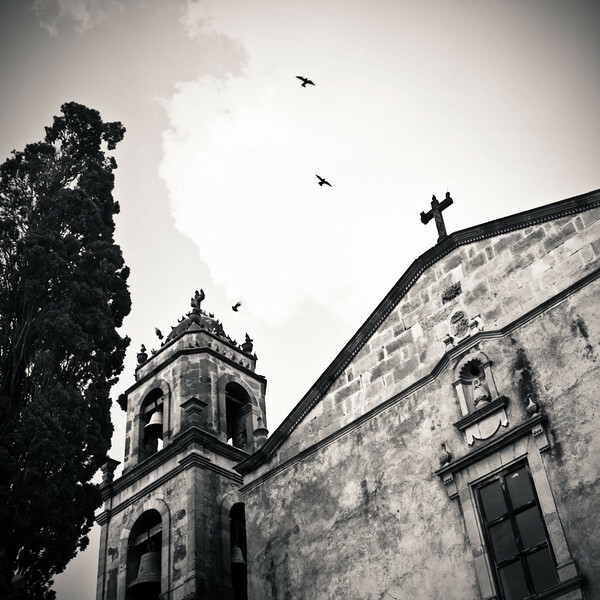 Old Catholic church in rural Mexico. 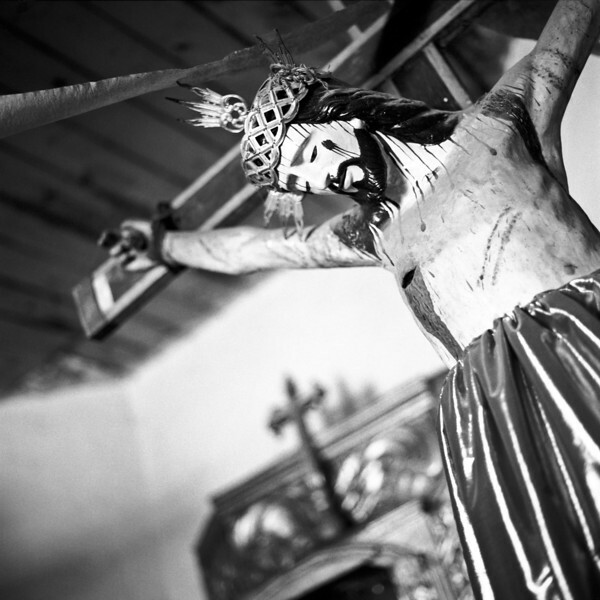 A statue of Jesus Christ crucified in a rural Catholic church in Mexico. 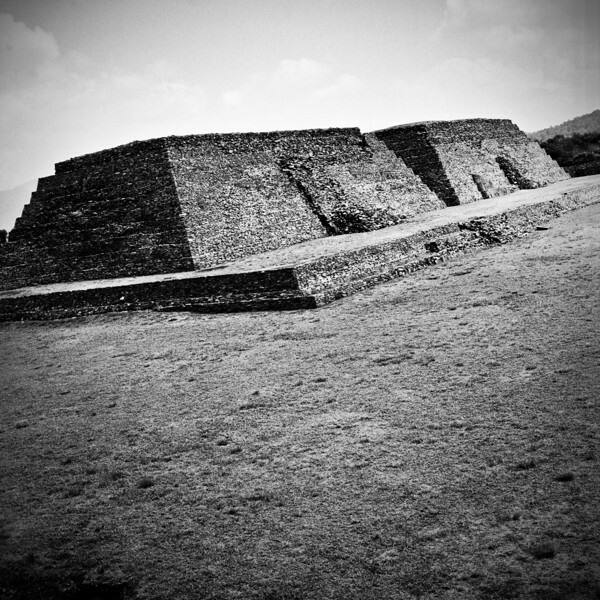 An ancient indigenous ruin in Mexico. 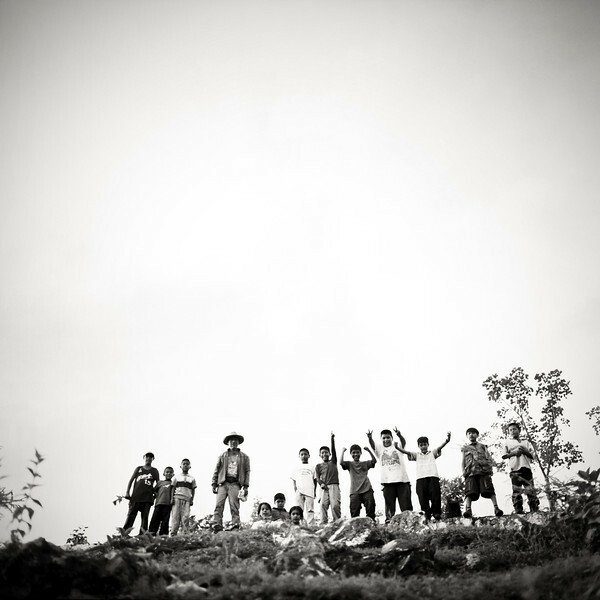 A group of Kids and an old man posing on a top of a hill in rural Mexican village. 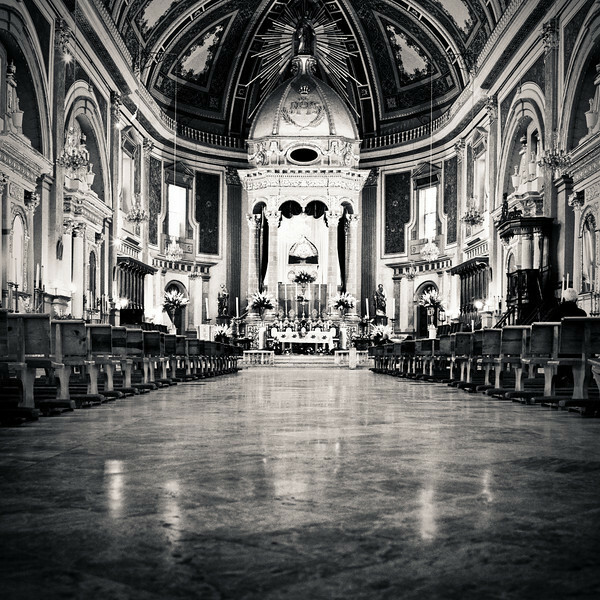 Interior of an old Catholic church in rural Mexico. 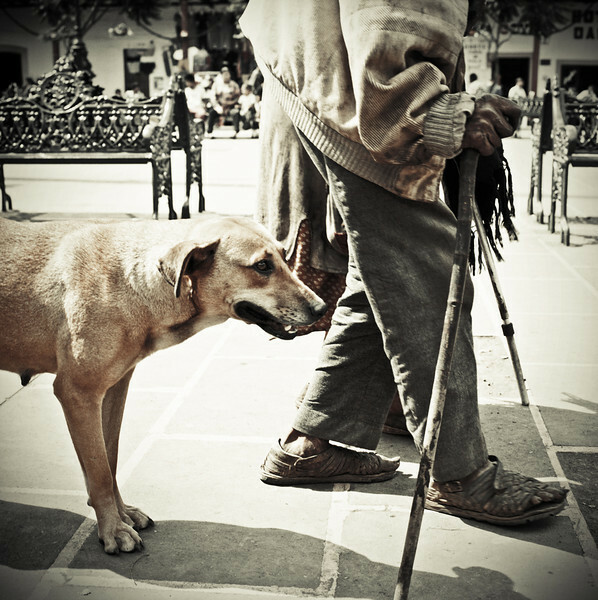 An old couple and their dog walking in a town square in rural Mexico.